No Time For A Full Vacation in Helsinki? Go For a Day Trip! How Do You Manage a One Day Trip to Helsinki? Have you been to Helsinki, Finland? What are you’re “must see” sights for a one day trip? There’s just something about Finland. It’s not any further north than Norway or Sweden, yet somehow, for me, the country conjures up images of the northern frontier with ice fields, and desolate icy wilderness. I don’t know why I have this image, and I imagine that there are parts of the country outside of the capital that fit that description; however, Helsinki is a warm, thriving city far removed from my notions of empty arctic landscapes. While it’s not on the Scandinavian peninsula, this Northern European country still shares the history and much of the culture of it’s neighbors, in it’s own unique way, of course. We all struggle with having enough time to do it all, don’t we? I’ve always wanted to go to Finland and spend a few weeks enjoying the pristine nature and maybe even see the Northern Lights, but I just haven’t had time to fit it into my schedule. Darn work! So what did we decide to do? From Tallinn we spent one day in Helsinki just for the day. It’s just a taste, and an incentive to go back. 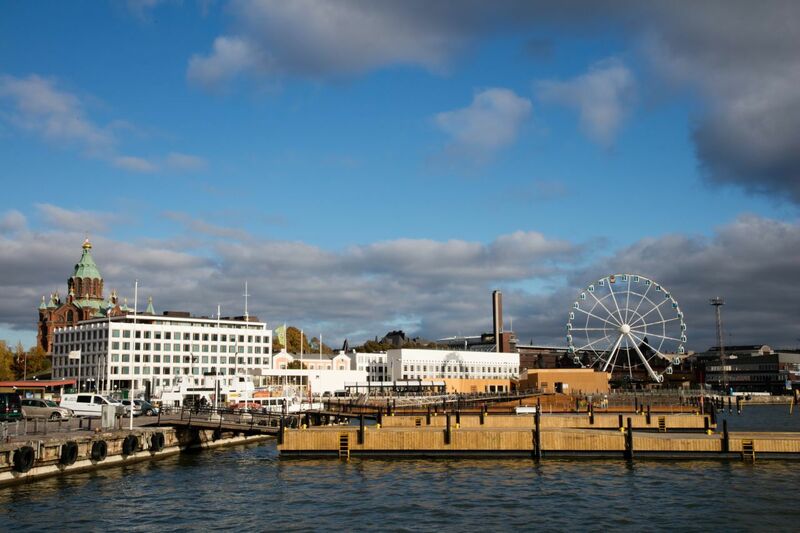 The North Harbor on a crisp, autumn afternoon is the first sight you see coming into Helsinki by ferry. 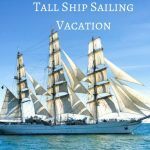 On our trip to Tallinn, Estonia we realized Helsinki was a mere two hour ferry ride across the gulf of Finland. 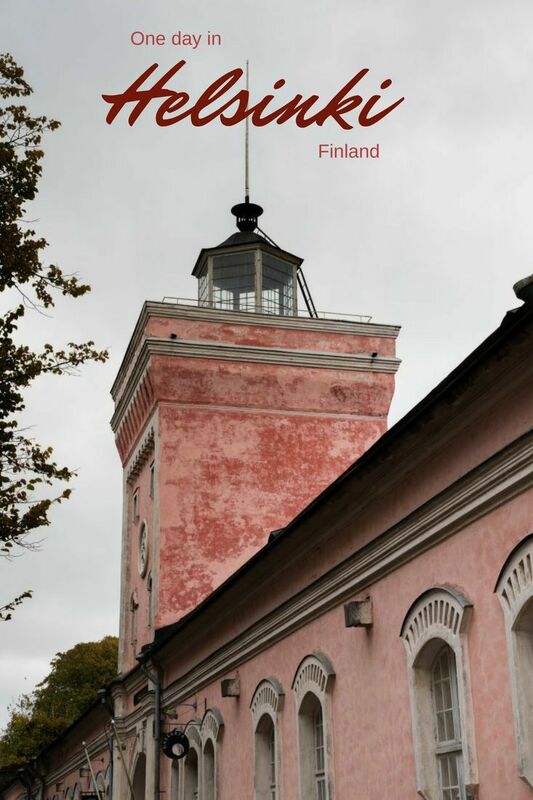 We had the perfect opportunity to at least get a preview of Finland, so we tacked on an extra day to the itinerary and started getting serious with planning a day trip to Helsinki. Of course, one day isn’t nearly enough to experience even a part of all that a country has to offer, but because Helsinki is relatively small and well serviced by public transportation, we were confident that we could make a day trip a worthwhile experience. I’d like to say we carefully researched opening times and schedules to maximize our time in the city, but that wasn’t really necessary. 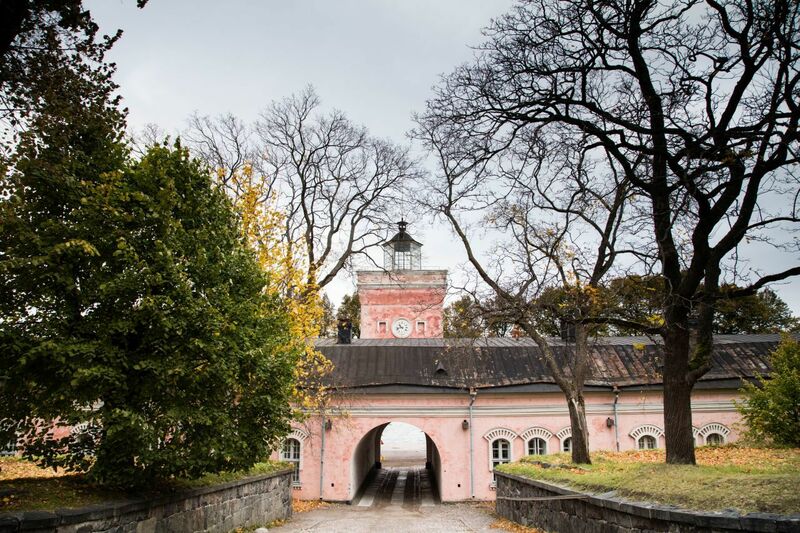 We knew a large part of the day would be taken up with a visit to the nineteenth century, UNESCO listed, sea fortress Suomenlinna that protects the seaward entrances to the city. We would just make that our focus and work around that time. 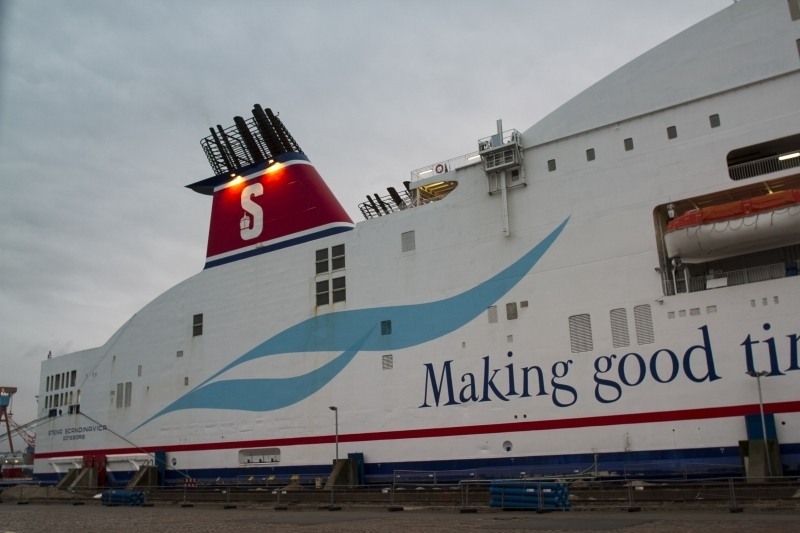 There are a few ferry options from Tallinn to Helsinki, but we chose Tallink for their cheap prices, reliability, and convenient schedule. Walk on passengers can purchase a roundtrip ticket online for only 33 each, just be sure to choose the day pass option. The first ship departs Tallinn arriving in Helsinki at 09:30 and departs that night at 22:30, allowing ample time for a full day of exploring. To maximize our time in the Finnish capital, we ate breakfast on board the massive ferry and were pleasantly surprised by the quality and price of the breakfast buffet (10.50â‚¬ if purchased at time of booking or 11.50â‚¬ if purchased on board) this is a great time saver as we didn’t arrive hungry and were ready to get going. We left the ferry terminal, immediately found the HSL ticket machine, purchased two, one day passes (8,00â‚¬), and quickly hopped aboard the nearby tram heading to the city center. Timing was close, but google maps was sure we could make the next Suomenlinna ferry leaving from the Market Square ferry terminal. It took a short sprint from the tram, across the square and onto the ferry, but we made it just before the gangway gate dropped. If we didn’t have the one day passes we would have had to purchase another ticket and wait for the next boat. 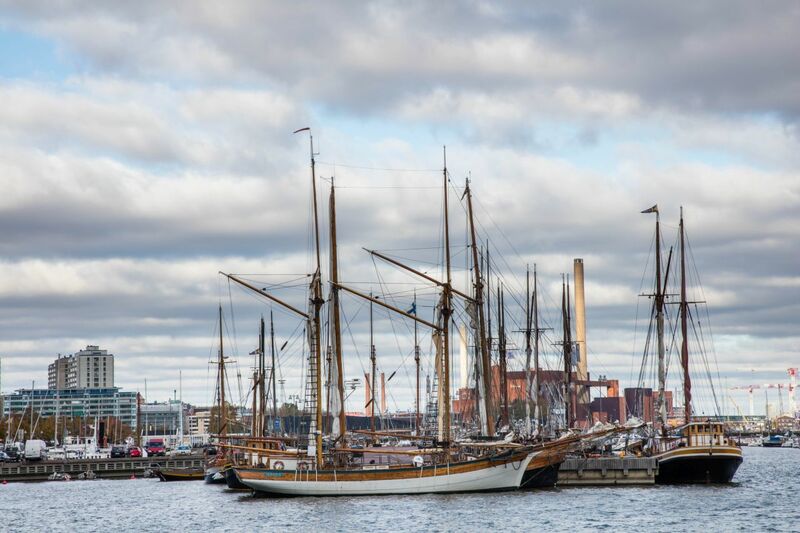 The ride out through the harbor and into the bay affords a beautiful view of Helsinki behind you and some quaint fishing huts on tiny islands out in the water. It was a gorgeous ride and, despite the threatening clouds and cold wind, we stayed out on deck for the entire fifteen minute crossing. We arrived at the fortress, stopped in at the nearby visitors center for a map and took off on our two hour walking tour of the island and the massive stone defense work. 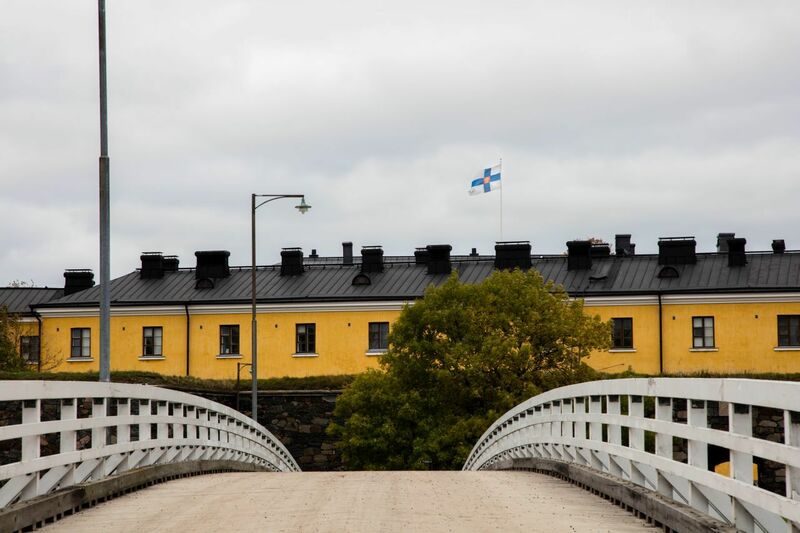 Suomenlinna was built at the order of the King of Sweden to protect his frontier trading town from the Russians, whom they had been in constant struggle with at the eastern edges of the Swedish kingdom. Czar Alexander’s military forces laid siege to the fortress and destroyed parts of the town in their conquest of Finland. This may have been a good thing for Helsinki, in the long run, as he annexed the territory as the Grand Duchy of Finland and moved the capital here. The city was rebuilt and, as a capital, became bigger and more important on the world stage. 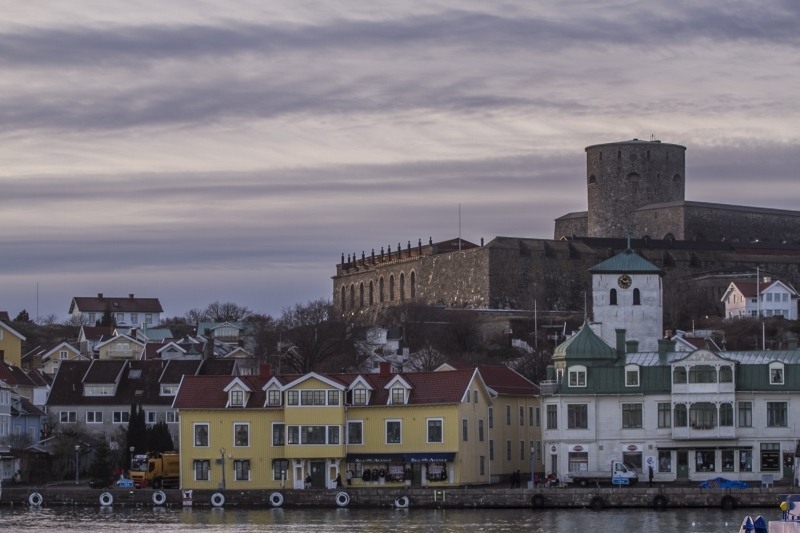 Today, visitors can explore the island, visiting a variety of maritime museums, art galleries, and, of course, historic buildings and defensive works. We enjoyed wandering along the blue trail that takes visitors on a cross-island route past all of the main sites. Unfortunately, the old church tower that sits on the highest point of the island is closed during the off season, I would have loved climbing it for a birds-eye view of the sea fortress. There are also a couple of bistros, cafes, and even a small supermarket so you could plan on eating lunch here on the island. We opted to head back into town for lunch at a restaurant that had been recommended by a fellow passenger on the ferry. The boat ride into town provides another awesome view of Helsinki from the sea and takes passengers right into the heart of old Helsinki. The cathedral and neoclassical presidential palace on Senate Square overlook the approach and the Old Market Hall sits right on the harbor front, it is very picturesque, so be sure to have your camera ready! Our stomaches were rumbling by now so we disembarked from the ferry and crossed past the Orthodox cathedral on our way to the north harbor and our lunch destination, Ravintola Nokka. 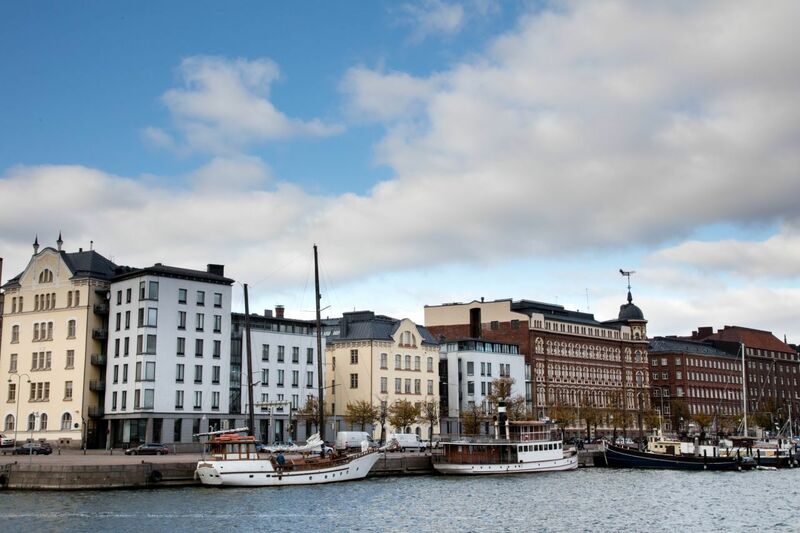 This beautiful upscale restaurant built in a renovated harbor-front warehouse serves excellent, upscale modern Finnish dishes prepared from locally produced ingredients. 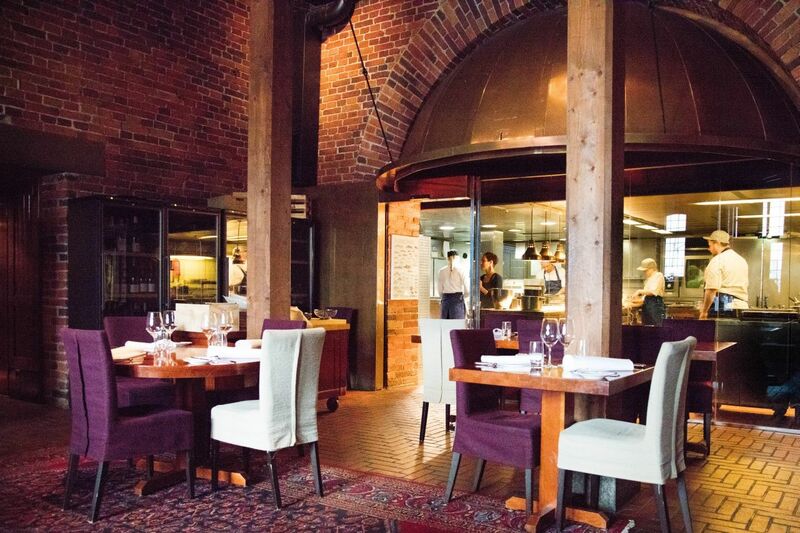 This is a red brick, and polished wood space with a glass walled kitchen allowing the diners to watch the chef and his helpers as they prepare the meals. They offer a very affordable lunch special, fish tacos on the day of our visit, which was quite popular with the local crowd filling the front room of the restaurant. We were splurging today, so we sat in the main dining room and had the daily lunch three course menu. From the very first small gift from the chef, to the last delectable spoonful of desert, we were in food heaven! Afterwards we wandered back to the Market Square where we were captivated by the Finnish handicrafts on sale here. There were reindeer hides, jewelry, wool sweaters, hats, and scarves, and an interesting and eclectic group of artists showing of their creations. 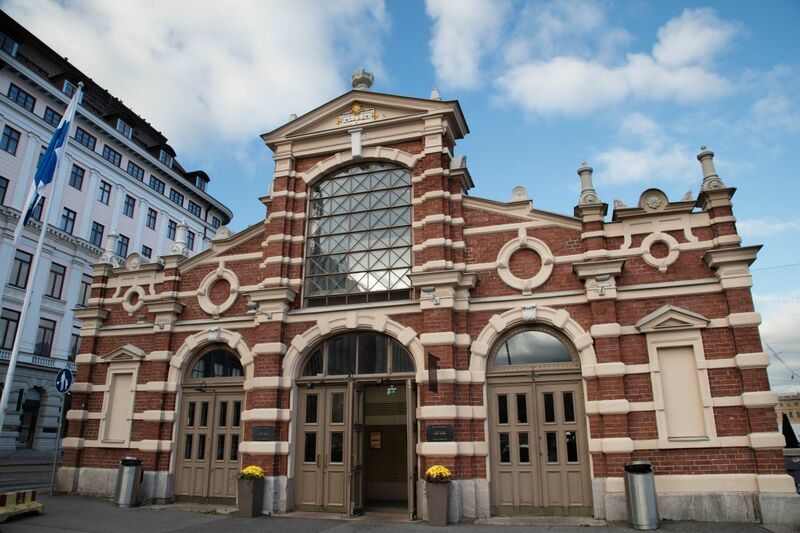 Through the square and into the Old Market Hall, this covered market occupies an elaborately decorated building constructed in the late nineteenth century to allow the citizens of Helsinki a place to shop protected from the elements. 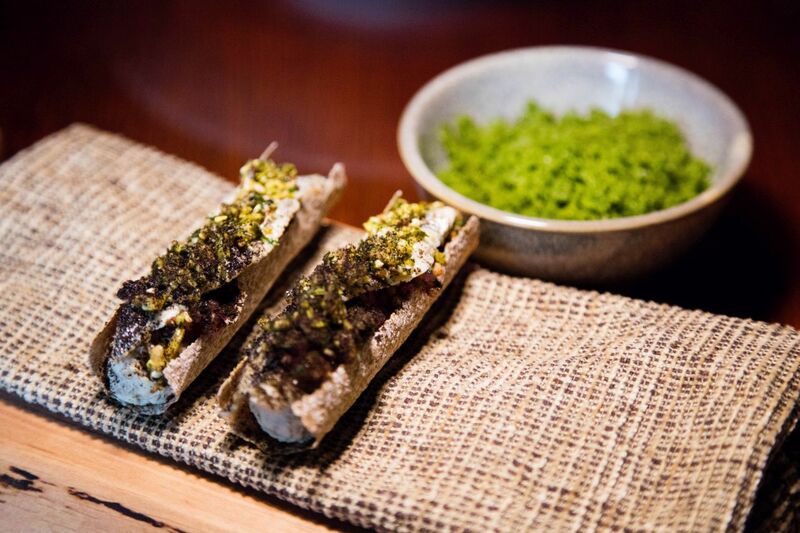 You can find all kinds of traditional Finnish food here, and you should try it all! 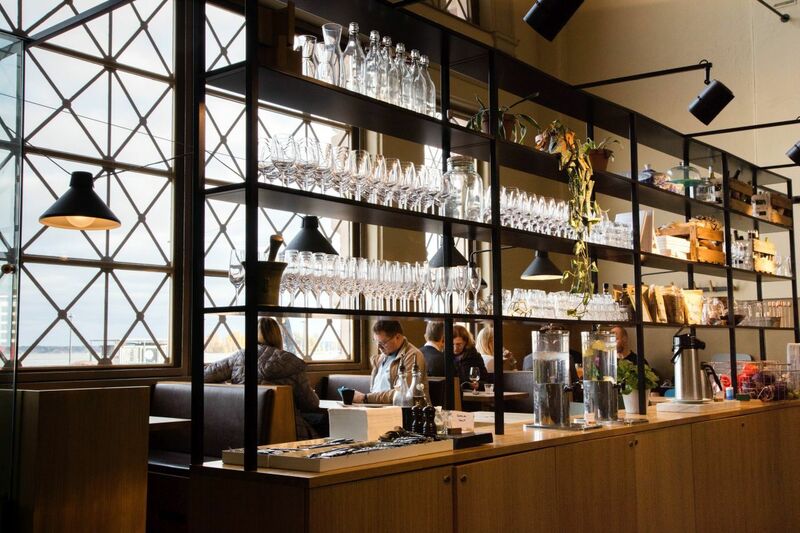 If you were looking for an alternative to a full on Scandinavian culinary adventure like the Nokka, this is the place to head for lunch. Of course, there is some great shopping here as well. But the small cafes and delicatessens offer some incredible looking food at a very affordable price. We picked up a few snacks for the return ferry ride later in the evening. We finished off our day trip to Helsinki with a tram ride out into some of the older neighborhoods, a visit to the “cave” church, Temppeliaukio, a stroll through the Senate Square and people watching at a small cafe near the beautiful train station. Exhausted but happy we boarded the tram for the final ride back to the terminal where our ship was waiting for us. All in all, a perfect day trip itinerary for Helsinki, Finland! Pin A Day in Helsinki for later! 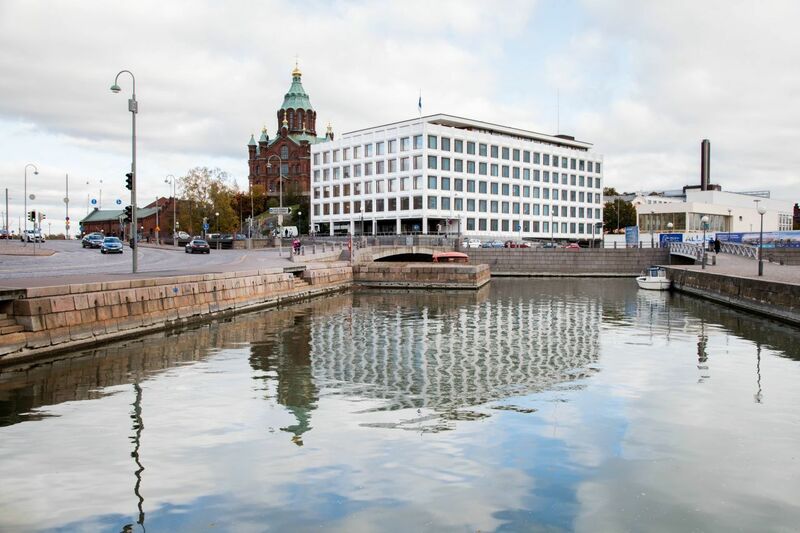 I knew very little about Helsinki – keen to go now! Anabel, It’s a pretty city, and there’s plenty of good walking nearby. You would love it. 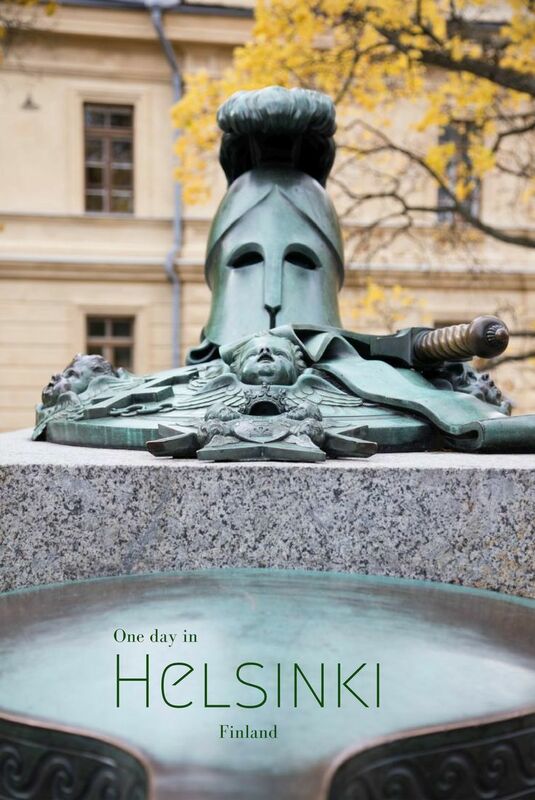 Your one day in Helsinki looks action packed. You have picked some very interesting locations to visit. Thanks Rhonda. We like to make the most out of it. I live in Helsinki. I think it is a pity that you didn’t mention the craft tables at the Helsinki Kauppatori (Quayside market). All the stall holders make the goods that they sell. It is also the same for most of the tented stalls. Tony, Yes, you are right. Great stalls! 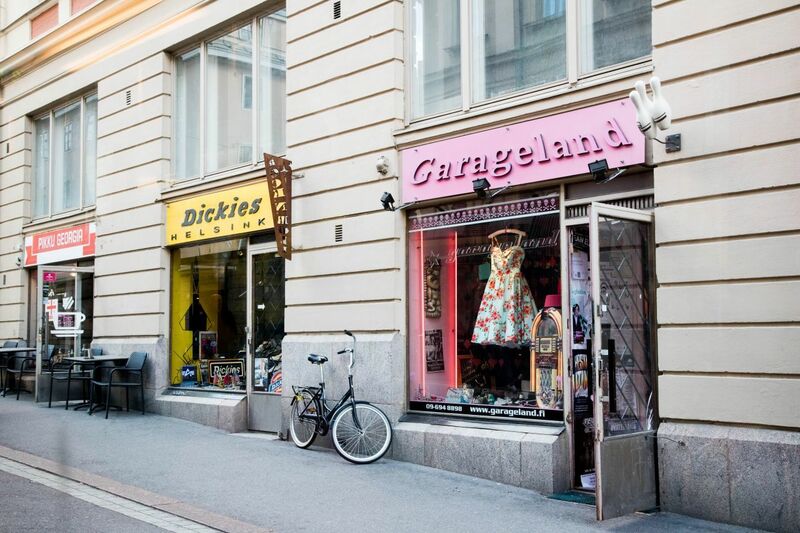 I love this because yo seldom see a blog highlighting Helsinki! It reminds me of some of our maritime Canadian areas, and looks absolutely worth the visit…if anything for a few of those pastries! Amy, Yes, go! 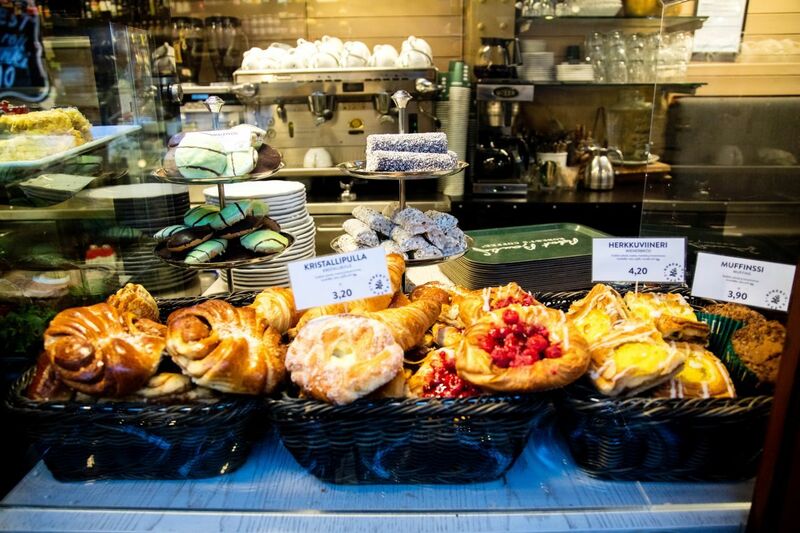 It’s a great city, and the pastries – all the food- was amazing! Haven’t been to Helsinki. Looks like you’ve covered a lot in one day. The place seems so peaceful. Jing, Yes, we did. I still have to go back. There’s plenty more to do. 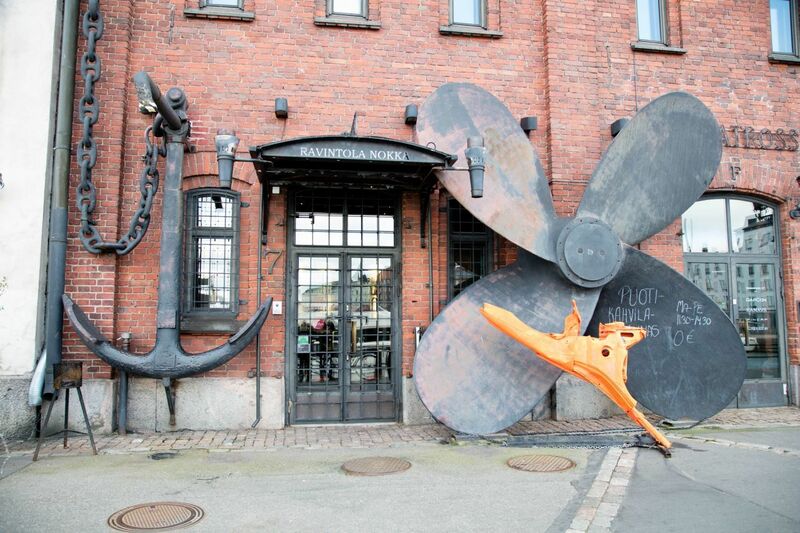 I have not had the chance to make it to Helsinki yet but would love to get there some day. You showed me that a day trip would not be quite long enough for me though! The architecture seems a little different from most of the larger cities in Europe too. Nancy, Oh, one day is definitely not enough. It’s just all we had at the time. Go longer! I hope to visit Helsinki next year! But also much more of Finnland – especially the North to see the Northern Lights!! Viktoria, Me too. I need to go back. Ashleigh, We also want to go back, and during winter would be so much fun as well. Looks like an amazing place to explore! I hope I get to someday soon…I’ll be adding it to the bucket list for sure! Thank you for inspiring me to travel! Cant wait! Jordan, We highly recommend it. It’s a great place to visit. Finland is such a stunning country, I haven’t been to Helsinki yet but these pictures are gorgeous and make me want to book a flight today! Emma, Finland is stunning, and unfortunately we only were able to see a small piece of it. I can’t wait to go back. I wouldn’t mind walking in Helsinki all day long. The food you had in a restaurant looks so weird, it makes me want to try it 🙂 How was it? I have no idea what it is. Maya, That was an interesting, yet amazingly delicious dish. It was herring served with cold green noodles. So refreshing. 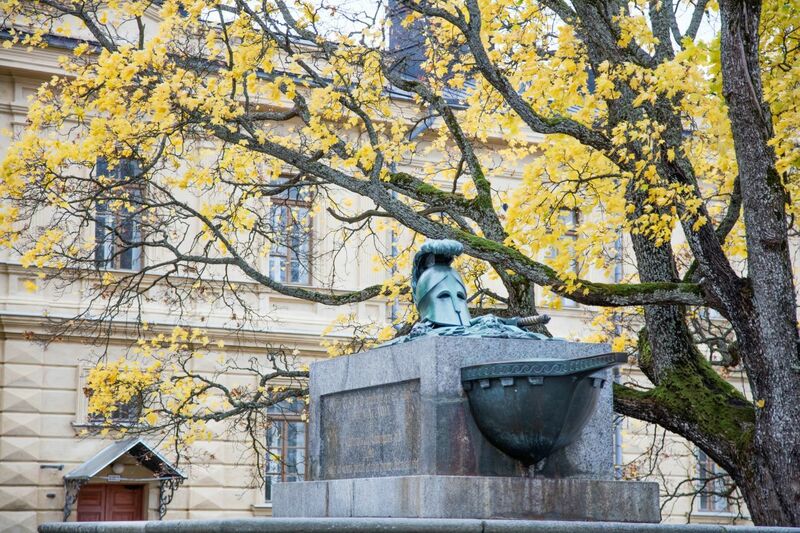 Helsinki is charming and what a perfect way to get there. 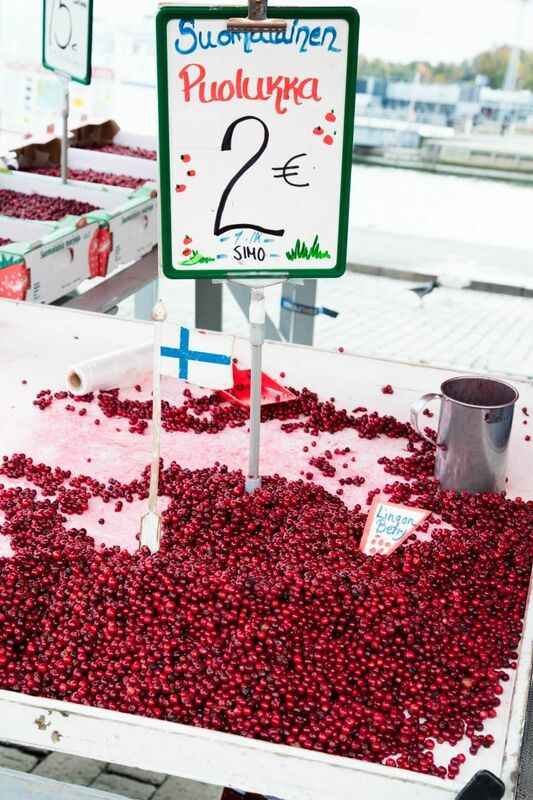 I have always fantasised about Finland and loved reading this post. 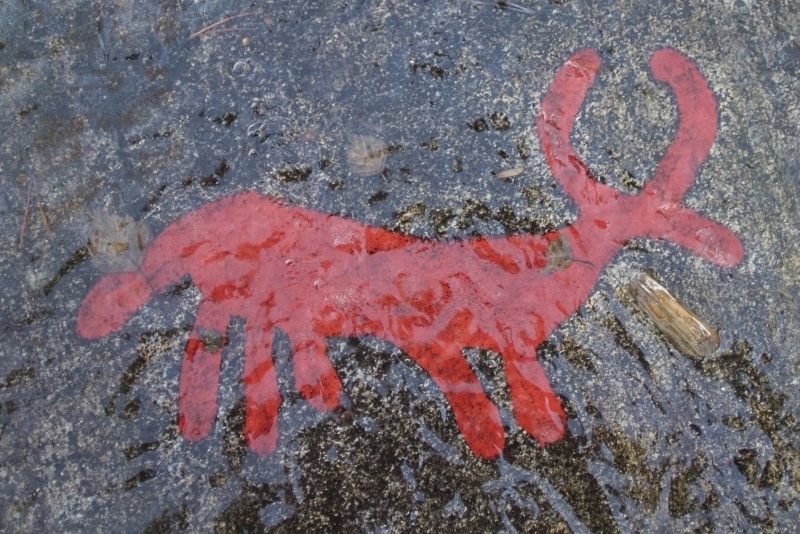 Great pictures that bring alive the magic of Finland. Vyjay, We did love it, but even though it was a great day, it was no where’s near enough time. We’ve got to go back. Nilabh, I never knew much either; can’t wait to go back. Thank you for this! We have tickets to Helsisnki for 9 days next Summer. We plan on going a few places in the region, but I’m just starting planning it. Thanks for giving me a starting place. CT, I’m glad you are finding our info useful. You are going to love Finland! Have a great trip. I’m glad my home country treated you well and you enjoyed your stay! I love the pictures, you have captured the Finnish atmosphere very well! I just got home sick! 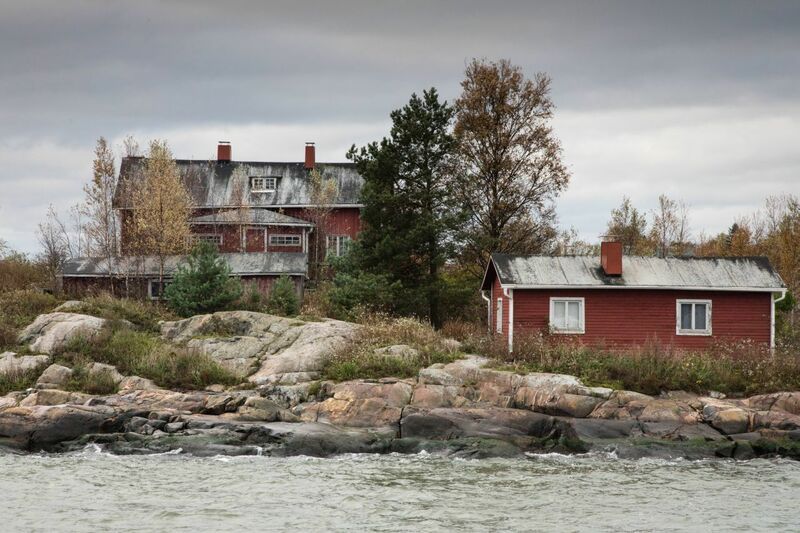 Paula, We loved Helsinki, and now we want to go back and really explore the rest of the country!